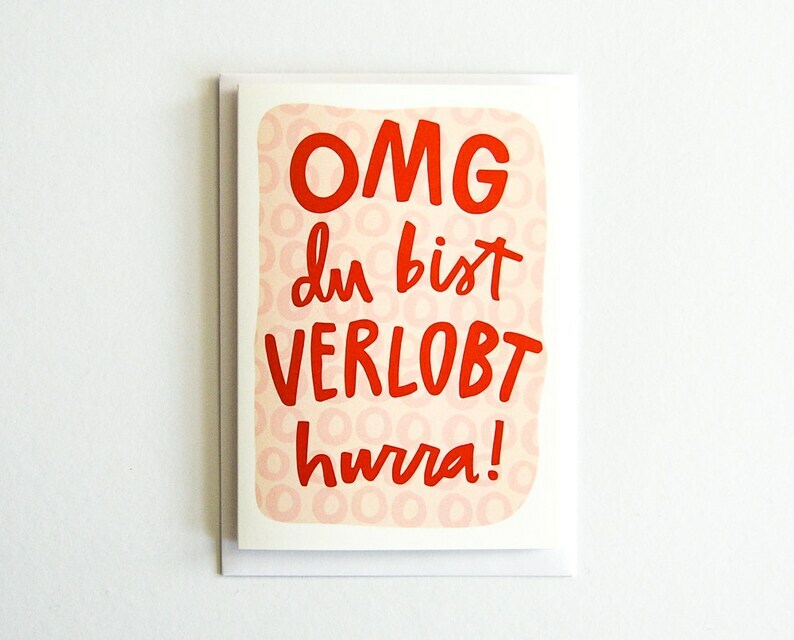 Congrat your recently engaged family/friend with this fun and quirky German engagement card. Translates to "OMG You're Engaged Hooray!" Hand lettered and designed before being digitized and printed with love in Berlin. Thank you so much for offering this perfect card in your shop! I rec'd it today and we love it. It's already in the mail to my niece and her fiancé. Thank you for answering my questions so quickly and going above and beyond to help me! I will definitely remember this great shop and buy from you again.